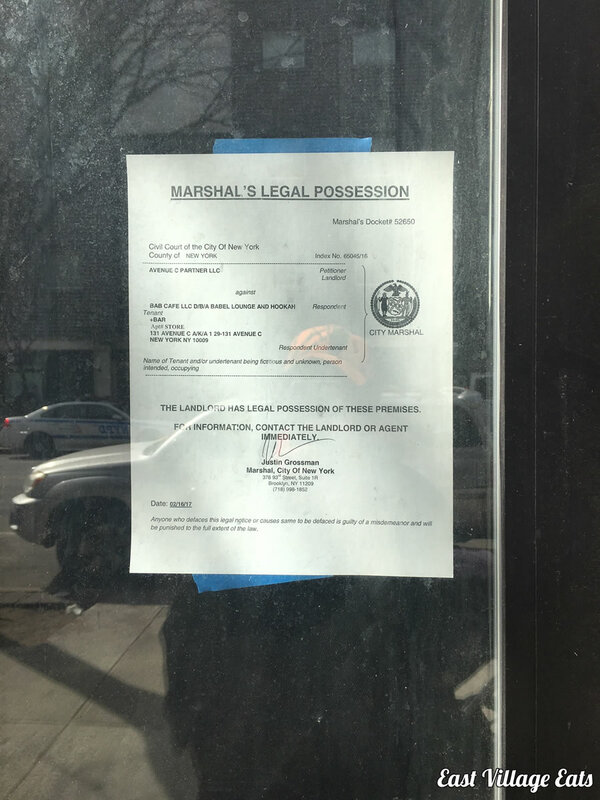 Babel Lounge & Hookah Bar on Avenue C has been seized by Marshals. 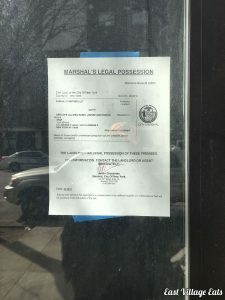 Babel expanded into the former Duke’s space in 2012 and has had a history of noise complaints. 131 Avenue C @ 8th St.